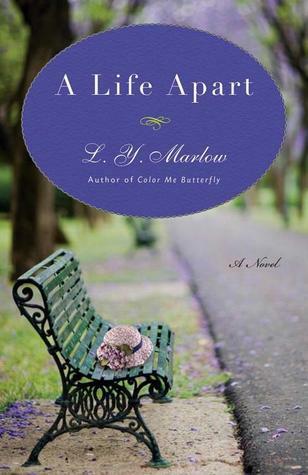 I was really hoping to give you a full review today to celebrate the release of A Life Apart by L. Y. Marlow. But I haven't finished it. I'm almost done; only a little more than 20% left to go (the holiday weekend didn't leave me as much time to read as I thought it would). I feel pretty confident that I can wholeheartedly recommend this book. I'm loving it. And I think after you read the sample below you will be pulled into the story of Morris, Agnes, and Beatrice as much as I am. But first, a little about the book. From the author of Color Me Butterfly, the poignant story of a decades-long interracial love affair between a white sailor and the sister of the black sailor who saved his life at Pearl Harbor. Girl Who Reads is an Amazon advertising affiliate; a small fee is earned when purchases are made at Amazon through the link above. A digital galley was provided by the publisher through Netgalley.